Indian stock exchanges used to be a happy hunting place for the raging bulls until some months back, and the benchmark Sensex looked all set to end 2016 on a high note. But little did the investors knew what was in the store for them before a major announcement broke out on the night of 8 November. 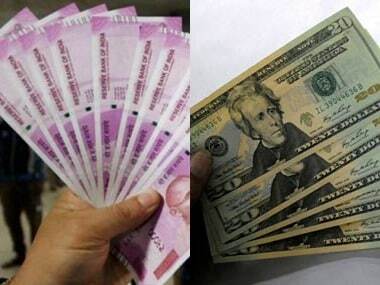 In a bid to flush out black money and fake currencies from the system, Prime Minister Narendra Modi took a bold step and announced the demonetisation of high value currency denominations of Rs 500 and Rs 1,000 from the market with immediate effect. As the decision to ban these notes accounted for around 86 percent of the total money in circulation, the move dealt a severe blow to the common man, which mainly rely on cash for their day-to-day transactions. Not to be left behind, the note ban exercise also gave stock market a severe jolt, as the benchmark Sensex came down crashing in the very next trading session on 9 November. Intra-day, the index plunged nearly 1,700 points or 6.1 percent before erasing most of its losses to end 339 points lower. However, the steep intra-day fall on that day was also partially due to the US election results which saw Donald Trump emerge as a surprise winner over his Democratic rival Hillary Clinton. Investors world over feared Trump's likely protectionist measures could hurt globalisation and further delay global economic recovery, triggering a wave of selling in world markets, including India. However, the US election euphoria soon died down and the focus in the local markets soon shifted back to the government's demonetisation move. Faced with the cash crunch situation and uncertainty over the growth prospects in the next couple of quarters, investors sold local shares in droves. Although, the market never slipped into a panic mode as such, the correction was gradual since the demonetisation announcement. 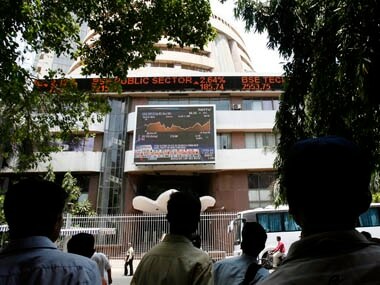 To give a perspective, the Sensex since 8 November ended in the red in 21 out of 36 trading sessions, indicating the note ban move hit the investor sentiment badly, said analysts. "There is going to be degrowth in volume. 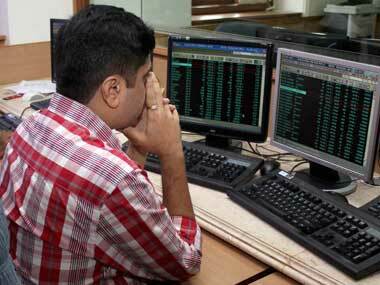 In the first 10 days of November, traders executed their trades using old currency notes...but business volume have dropped sharply since then as sentiment has been hit badly," said A K Prabhakar, head of research, IDBI Capital Markets and Securities Ltd.
Prabhakar cited uncertainty over the growth performance in the next few quarters that fueled pessimism among the investors, especially the overseas portfolio players. 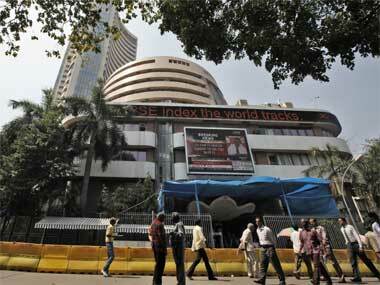 Since 9 November, foreign institutional investors have sold Rs 25,921 crore worth of shares in the domestic market. After pumping in billions of dollars in local shares during most part of the current year, the FIIs turned skeptic in last two months. In November, these overseas investors sold shares worth Rs 17,737 crore and are net sellers of equities to the tune of Rs 7,817 crore in the current month so far. Their selling in the domestic market stemmed from the fact that consumption, which had been the driving force behind the India's resurgent economy, could face headwinds in the near term due to the note ban move. "Assuming that consumption and the related sectors would continue to drive the economy going ahead, FIIs had invested heavily in consumption-centric stocks like FMCG, banks, NBFCs etc. But the note ban decision suddenly came out of blue and forced them to exit these stocks fearing India's consumption story may not gain momentum in the near to medium term," said Prabhakar. Combined with global factors such as dollar gaining strength against global currencies, including India's rupee, and steady rise in international crude prices, domestic stock market lost considerable ground on sustained selling pressure. 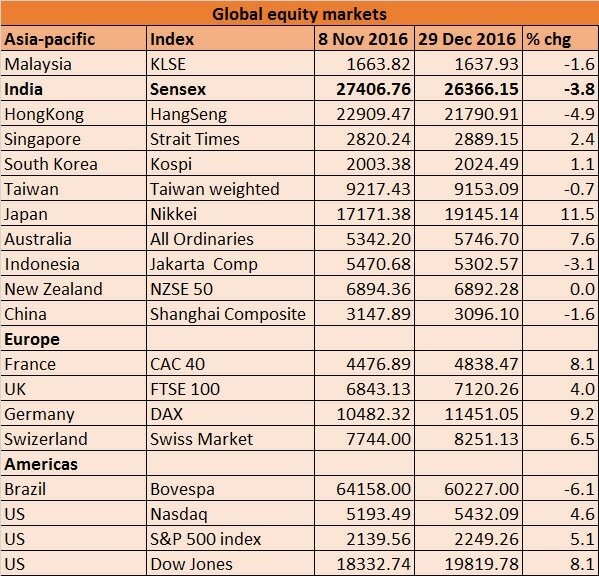 In the Asia-Pacific region, India was the second worst performing market as the Sensex lost 1,041 points or 3.8 percent since 8 November, behind Hang Seng's 4.9 percent drop. Consistent fall in the markets resulted in the BSE's overall market cap dropping by a whopping Rs 618,138 crore during the period under review. On the other hand, the three key European stock indices led by France's CAC, UK's FTSE 100 and Germany's DAX surged around 4.0-9.2 percent, while Nasdaq, S&P 500 index and Dow Jones (US stock indices) gained around 5-8 percent each during the period. "Definitely demonetisation had an impact on the markets to a certain degree. Investors are skeptic about their investment plans due to uncertainty and how earnings will pan out in the next couple of quarters," said Jimeet Modi, promoter, director & group CEO, SAMCO Securities. Surprisingly, the persisting fall in local markets in the current scenario comes after the key indices showed remarkable upsurge since March this year. Post the Union Budget announcement of FY17 in February, India's stock market hardly looked back and remained in the thick of action as investors cheered the government's pro-growth measures and fiscal road-map for the current financial year ending 2016-17. In addition to this, bountiful rainfall in the current monsoon season after successive droughts in the previous two years prompted investors to accelerate their bet on the Indian markets amid hopes drop in inflation and strong consumption would fuel further growth in the world's fastest growing economy. Despite sluggish global economic growth prospects and worries after UK exited from European Union in June, investors showed no signs of concerns here and continued to lap up local shares at will. Going by the performance, the Sensex since 31 December, 2015, shot up a whopping 2,927 points to touch the year's intra-day high of 29,045 on 8 September. For the year up to 8 November, the benchmark index rose 1,474 points, or 5.6 percent before giving away most of its gains thereafter post the demonetisation announcement. Foreign investors flows, which lost steam in the last three months of this calendar year, were net buyers of equities from March to September, pumping in nearly Rs 69,500 crore during the period. However, analysts, who are sceptic about the growth prospects due to note ban move, don't expect FIIs to return to local markets in the first quarter of 2017. In fact, some believe Indian markets could witness correction in the next couple of months as most of the economic data could point towards slowdown. "We expect Nifty may correct up to 7,400 level in the near to medium term, as underlying sentiment remains bearish because of slowdown concerns in the wake of note ban and its likely impact on corporate earnings and other economic readings," said Prabhakar of IDBI Capital. Jimeet Modi of SAMCO Securities, too, expects markets may correct by another 4-5 percent from the current levels in the near term. However, analysts are hopeful that things will turn for the good in the long run as positive effects of demonetisation will play out. "Lot of the current unorganised trades will shift to organised trades, which will be a huge positive for the markets in the long run," said Modi. He also expects positive commentaries on the economy front to start flowing from April, and by June everything will be back to normal. Prabhakar feels the markets will get over the current blip in the next few months and FIIs will re-enter Indian markets with fresh conviction. Although, analysts paint a rosy picture for the markets in the long run, investors hope the forthcoming Union Budget would offer some positive steps from the government to prop up growth, which currently appears to be slipping back from its heady days.